Scott Blanding serves as a Senior Asset Manager for Viking Partners. Scott is responsible for driving NOI in Viking’s retail and office portfolio through the oversight of leasing, property management, operating budgets and capital projects. Prior to joining Viking Partners, Scott worked at DCT Industrial (NYSE: DCT). As a Senior Vice President and Market Leader, Scott was responsible for managing DCT’s Cincinnati office with oversight of over 55 industrial buildings totaling approximately 12 million square feet across the Columbus, Indianapolis, Louisville and Cincinnati markets. While at DCT Scott negotiated over 200 lease transactions, 2 million square feet of dispositions and acquired over $35 million of assets. Prior to working at DCT, Scott worked for five years at Northern Trust bank in Chicago as a Second Vice President in Global Securities Lending where he was a responsible for over 80 client accounts which generated approximately $2 million dollars of annual revenue to the bank. Scott is a member of International Council of Shopping Centers (ICSC), University of Cincinnati Real Estate Roundtable and an active volunteer for Habitat for Humanity. 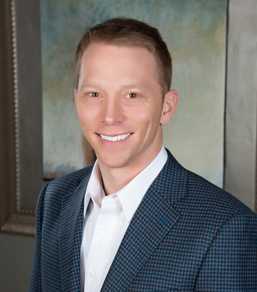 Scott is a graduate of the University of Michigan, where he earned a Bachelors in Business Administration with a focus in Finance and Accounting. He also received his M.B.A from Northwestern University (Kellogg School of Management) with a double major in Real Estate and Finance.